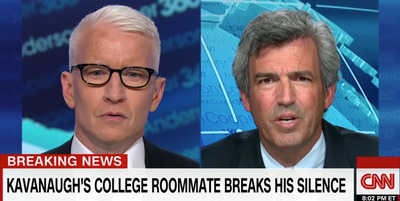 CNNCNN host Anderson Cooper, left, and James Roche, Brett Kavanaugh’s former roommate at Yale University. James Roche, Brett Kavanaugh’s former Yale University roommate, disputed his claim that he “did not drink beer to the point of blacking out” during their college years. The Senate is expected to start voting on Kavanaugh’s nomination on Friday. A former roommate of Judge Brett Kavanaugh, President Donald Trump’s nominee for the Supreme Court who faces numerous sexual misconduct allegations, disputed Kavanaugh’s claim that he “did not drink beer to the point of blacking out” while they were in college. James Roche, a fellow Yale University alumnus who lived in the same room as Kavanaugh during their freshman year, said he believes the sexual misconduct allegations made by Deborah Ramirez, his friend at Yale. Ramirez accused Kavanaugh of exposing himself at a dorm room party during the 1983-84 school year. During his hearing before the Senate Judiciary Committee last week, Kavanaugh admitted to drinking alcohol during his high school and college years, but undercut the notion that he went beyond social norms. 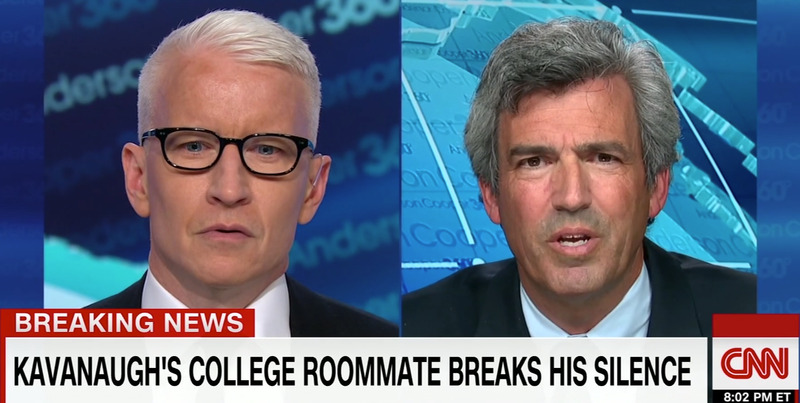 Roche, who was interviewed by the FBI for its supplementary background check on Kavanaugh, said his former roommate was lying. “I saw him both what I would consider blackout drunk, and also dealing with the repercussions of that in the morning,” Roche later added. Roche, who runs a software company in San Francisco, made similar comments in an op-ed column published on Wednesday. Senate Majority Leader Mitch McConnell set up a procedural vote for Kavanaugh’s nomination on Wednesday night, hours before the senate is expected to review the FBI’s supplemental background review on the judge. The Senate is expected to begin a key procedural vote on Kavanaugh’s nomination Friday. A final vote is expected on Saturday.